South Korean mobile phone maker, LG Electronics, seems to have LG Developer Team at work. With the success and record number of sales for the LG Optimus One, the handset manufacturer is readying the release of a new handset, powered by Google’s Android Operating System. This not being a rumor at all, Engadget reported via Phandroid of the upcoming availability of a new high-end Android device, being tagged as LG B Mobile Phone. 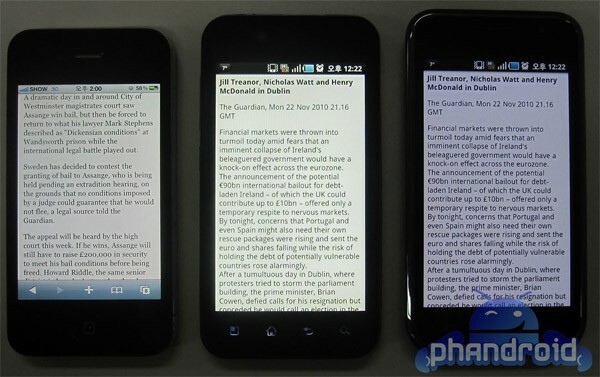 Furthermore reports confirmed that the Android powered device would be launched to the market in early 2011. While the company went social in reporting the release via Twitter. It would showcase the mobile phone at the upcoming Consumer Electronics Show (CES) in San Francisco. While the tweet confirms the upcoming mobile phone’s name and release at the event, the tweet did detail that “LG B” would be the super slim and super bright Android phone.